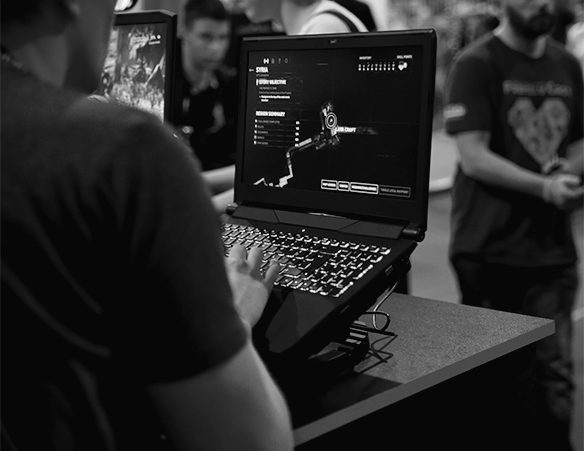 We cater for all gamers at PCSpecialist, so whether you're the next eSports champion or want to immerse yourself in the latest AAA tiles in 4K or VR, we can help. If you're in need of a Gaming PC fast, we have a range of Gaming PCs available for next day delivery. Alternatively, why don't you build your dream Gaming PC through our easy to use configurators. PCSpecialist gaming pcs have the most perfect performance for any individual; we can help you choose a gaming pc by using our bespoke configurator that allows you to choose every component. If you need any help with choosing a gaming pc, you can call our call centre and we can put a quote together for you. Get a Gaming PC That's More You! Not only are all of our Gaming PCs built to meet the gaming demands of our customers, we also allow you to put your own stamp on the design & build. There are many ways to make your next Gaming PC match your own style and personality; Case, LED Colour, Braided Cable Colour and Coolant Colour*. Don't settle for an 'off the shelf' box, build your next Gaming PC at PCSpecialist. Build the Gaming PC of your dreams with our easy to use configurator. With a huge range of the industry's latest and most powerful components, you can build your next Gaming PC to suit both your budget and your gaming style. 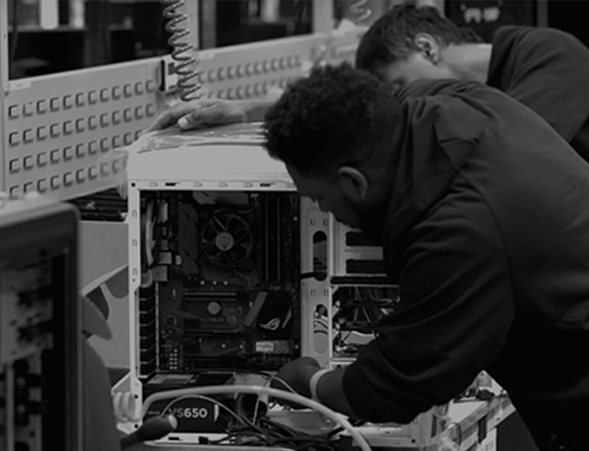 Each Gaming PC has been hand-built by our expert technicians and undergo a vigorous testing procedure to ensure that every Gaming PC has unrivalled performances in the latest games, straight out of the box. We are very confident that we have the industry’s best expert technicians. All our gaming pcs go under thorough testing to make sure our gaming pcs are ready to go upon delivery! This lowers our return rates and allows our customers to enjoy their gaming pc! The majority of staff at PCSpecialist are also avid PC Gamers. Collectively, they have racked up countless hours playing time across all of the latest gaming titles over the past 20 years. Rest assured you have enthusiasts building your new Gaming PC and we'll strive to deliver the ultimate gaming experience to your home. PCSpecialist Gaming PCs: built for gamers, by gamers. Have you ever wanted a gaming pc but never really wanted to build it yourself? Well look no further because here at PCSpecialist we allow you to spec up your own gaming pc and then we will build it for you! We have a wide range of computers, from office to high-end gaming pcs. Here at PCSpecialist we want to make sure that every Gaming PC we sell is perfect for our customers. If you would like to know more information about our Gaming PCs, feel free to give us a call! Our friendly call centre staff will be happy to help! Are you ready to build your OWN Gaming PC? Let's start right now, choose all your components yourself and make your dream PC right here on our website! Build a long lasting, high performance Gaming PC right now! Gaming PCs from PCSpecialist. Find your dream Gaming PCs right here. Custom designed Gaming PCs; built by gamers, for gamers! Get your perfect Gaming PC today!